Spending time doing what you fancy, is a key part of our tour. Consequently, some places are self-guided and 3-4 hours of free time are included on several days. We will take you to an interesting town or village and pick you up after dinner. Rest assured, there will be great choices for sightseeing, shopping, and dining. See some of the interesting places that we will visit (depending on the length of the tour). It has the feel of a prosperous Georgian country town, although its history stretches back to the Roman conquest in 43 AD. The 11th century cathedral is a striking structure, best known for its Chagall stained glass window and magnificent spire. There is a thriving artistic scene as evidenced by the Pallant Art Gallery and off-beat shops. There is plenty to see - from the Bishop's Garden to a Roman Museum and an impressive Tudor Market Cross. ​Rye became a Cinque Port in the 13th Century, providing maritime protection in exchange for trading privileges. 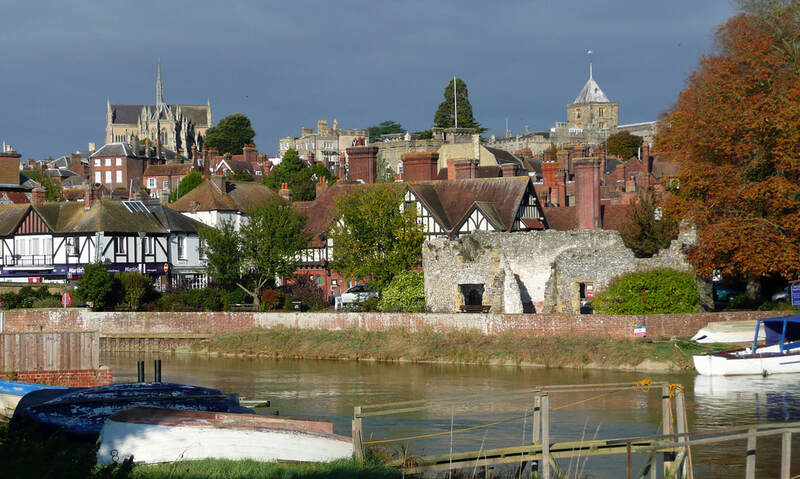 A stroll around this small, genteel town will take you down cobbled streets to Lamb House (once home to writer Henry James), the medieval St Mary's Church, or Rye Castle Museum and Ypres Tower. Outside of town is Rye Nature Reserve with its mosaic of shingle, saltmarsh, and saline lagoons - a haven for bird watchers.